As we begin a New Year, we want to share with you the most recent update on the Henry Ku‘ualoha Giugni Digital Archives. We are pleased to report several milestones have already been accomplished as we continue Phase II of this project and begin planning for Phase III. First, after an international search, Janel Quirante has been hired as Head Digital Archivist. Janel earned her Masters in Library and Information Science from the University of Hawai‘i at Manoa and worked as a videotape preservation technician at the Bay Area Video Coalition in San Francisco and as the Visual Materials Archivist at the Hoover Institution Archives at Stanford University before joining the HKG Archives. The other good news is that the Archives has secured a permanent home at UH-West O’ahu’s Library, scheduled to open in Fall 2012. 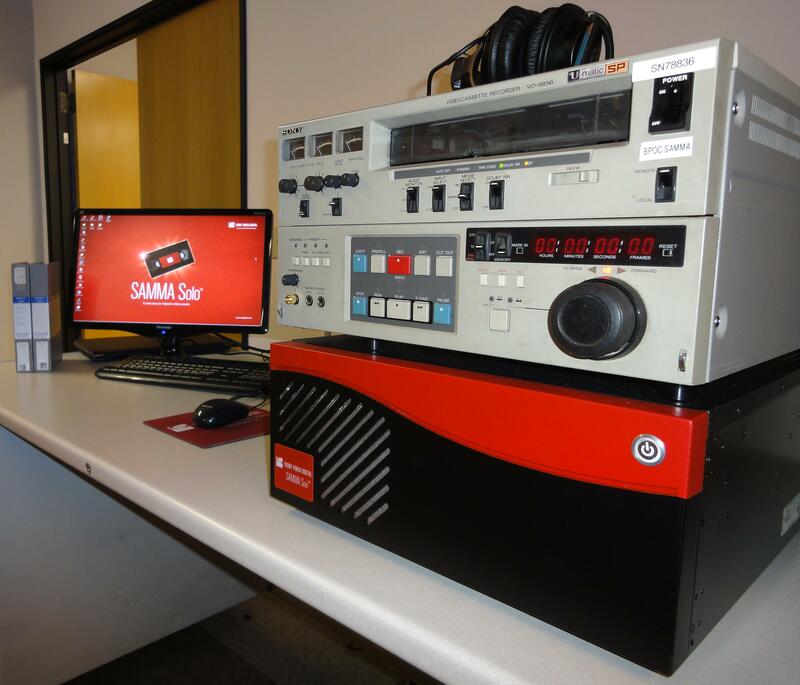 Finally and most recently, the Archives has acquired SAMMA videotape digitizing equipment to help with preservation needs. Staff continues its work in preserving, cataloguing and preparing media content for an on-line research environment. Looks good & congrats, an update with pictures. Thanks for all your hard work. A real website can’t be far behind. Let me know how I can help HKG Archives. hey thanks Mike! a real website is not far behind – janel just completed writing up RFP. if you know anyone who would be interested, send suggestions/info! mahalo!